Come say hi to Steven and I TONIGHT in Denver at the ARISE Pre-Party! We will be working the ARISE promo table and giving away FREE TICKETS to the festival. 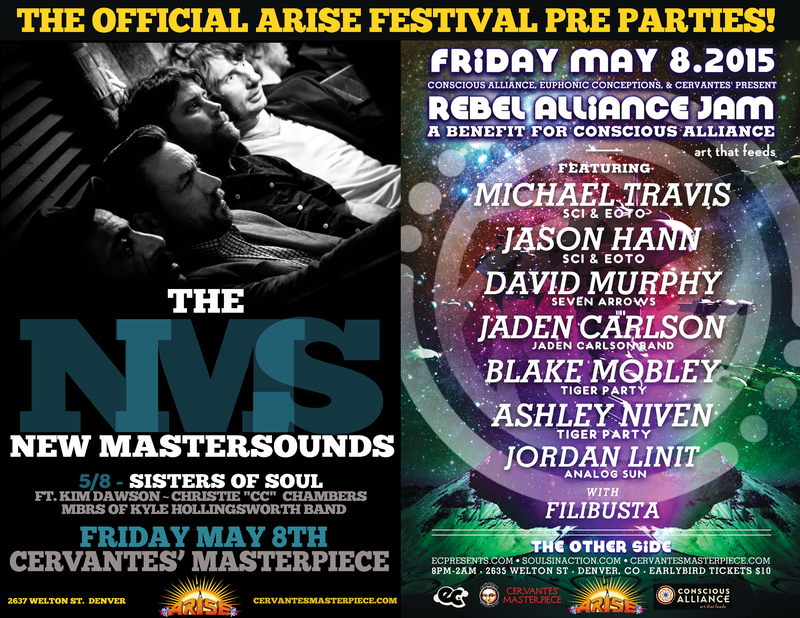 Music this evening is DUAL venue at Cervantes Masterpiece with The New Mastersounds + Sisters of Soul feat. Kim Dawson, Christie “CC” Chambers, & members of Kyle Hollingsworth Band + Xerephine Music in the main ballroom. The Other Side tonight is The Rebel Alliance Jam feat. Michael Travis & Jason Hann ( The String Cheese Incident & EOTO), David Murphy ( SevenArrowsMusic), Blake Mobley ( Tiger Party) and Jordan Linit ( Analog Son). With opening sets by Filibusta , Ashley Niven ( Tiger Party) & Jaden Carlson (Jaden Carlson Band). 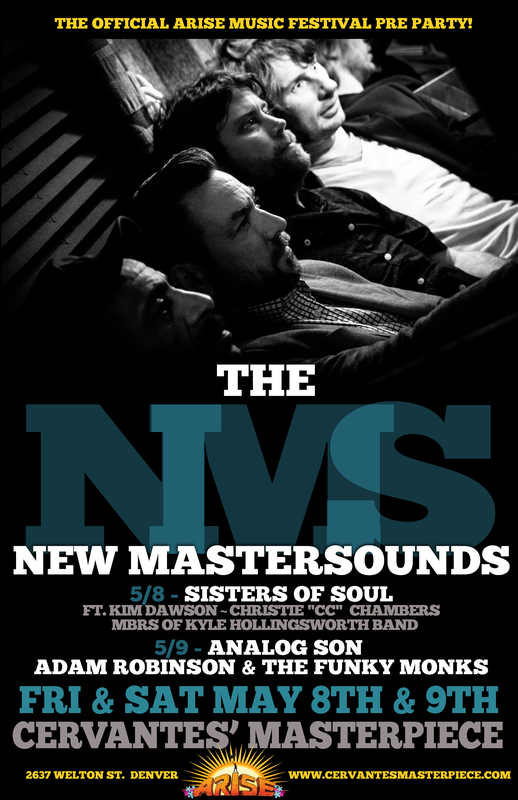 If you can’t make it tonight you can still check out The New Mastersounds TOMORROW SATURDAY 9th at Cervantes Masterpiece Ballroom w/ Analog Son & Adam Robinson & The Funky Monks!